Aardman animations are known for their great creative works, characters and some top-notch stop-motion work. The story line goes like when the prehistoric creatures and wolly mammoths roamed the earth, Early Man tells the story of how plucky caveman Dug, along with sidekick Hognob unites his tribe against the mighty Bronze Age in a battle to beat them at their own game. The Bronze Age interlopers are more developed than our heroes, and are looking to take over their valley. 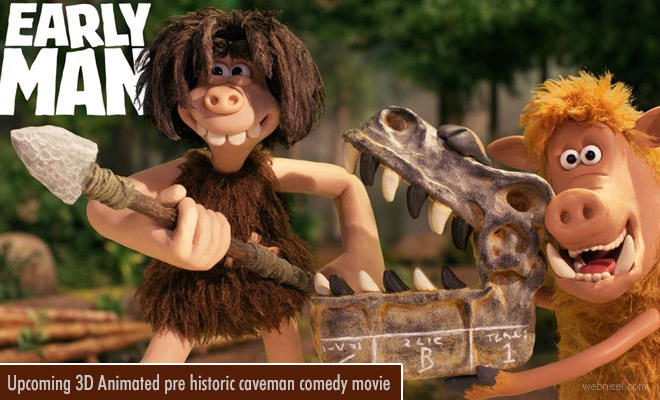 Nick Park's Early Man will hit the screens by 26th January 2018.